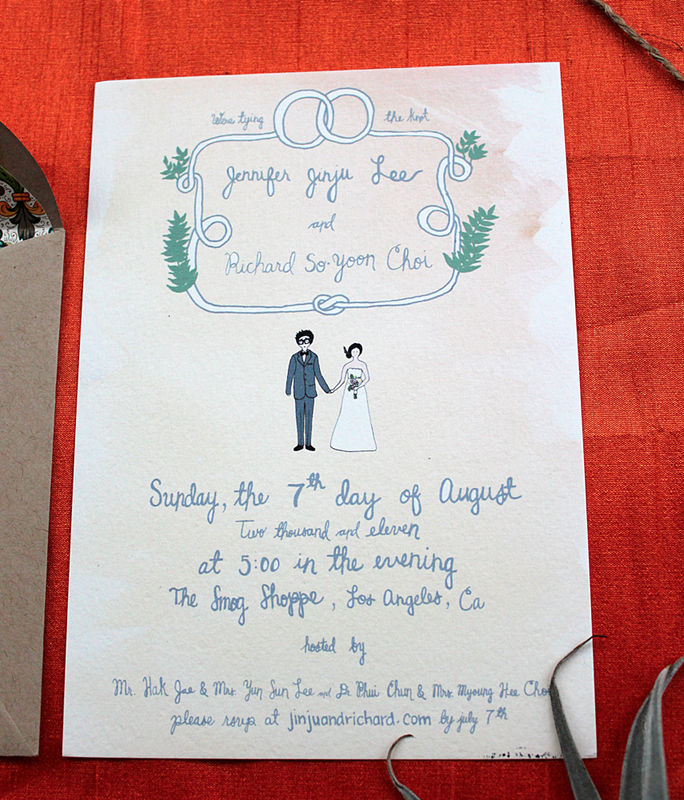 I recently made this invitation suite for my friends, Richard and Jen. I used Jen’s sketches and played with watercolor to create the lightly washed background. I’m in the middle of designing a few other paper goods for their upcoming nuptials at the Smog Shoppe, which we’ll be coordinating. 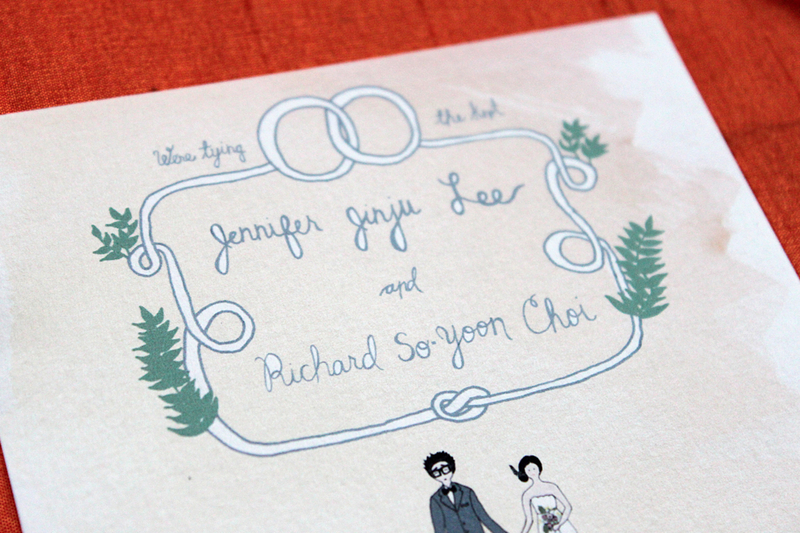 I’ll share more from Jen and Richard’s big day very soon! xoxo! 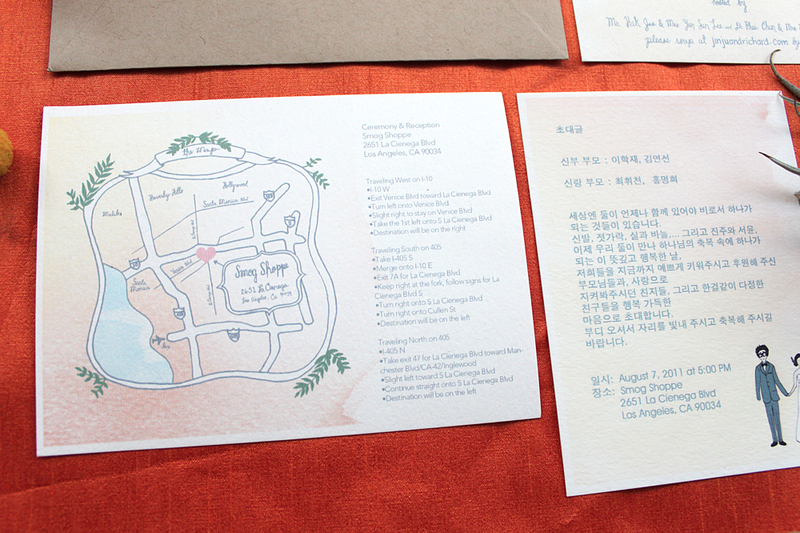 Awww, love the invites! :) They’re SO cute!! They came out great!! Good job! Thanks lady! I really enjoyed working on these.